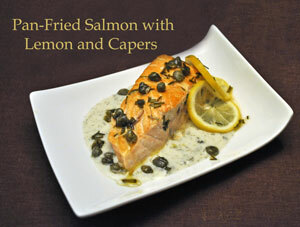 Salmon with Capers, Thyme for Cooking easy gourmet recipes. This is a simple, healthy, low calorie soup that is packed with flavor, perfect for a light first course. Roughly chop the onion, carrot and celery. Put vegetables in a medium saucepan. Add the stock, bring to a boil over medium heat. 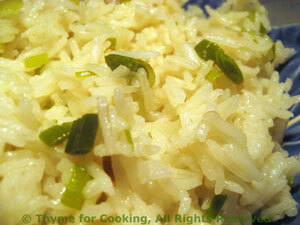 Cover, reduce heat and simmer until vegetables are tender, about 15 minutes. Purée in a blender or use an immersion blender. 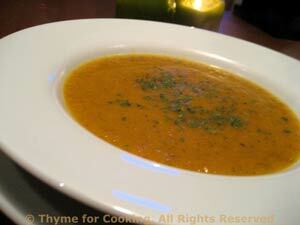 Ladle into soup plates, sprinkle with parsley, a bit of pepper and serve.